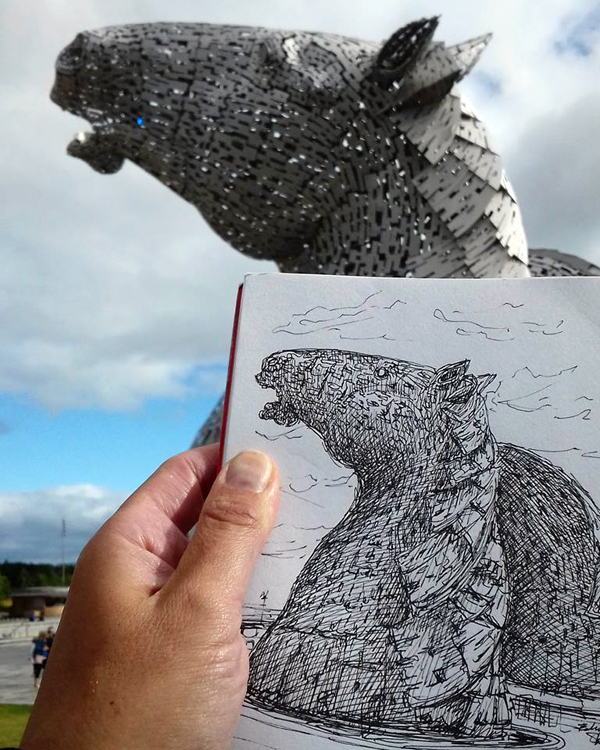 This week I was sketching in Stirling and stopped in on the Kelpies on my way home. Rising high above the M9 the 300 tonne sculptures reside at Helix Park on the Union Canal, between Falkirk and Grangemouth on a large piece of ground which also houses a visitor centre and huge climbing playground. There is lots to do at The Helix and well worth a visit not just for the awe inspiring Kelpies, for more information follow the link below. © 2018 Edinburgh Sketcher All Rights Reserved.